Finally back home after attending GNOME.Asia 2012 and some vacation time afterwards. 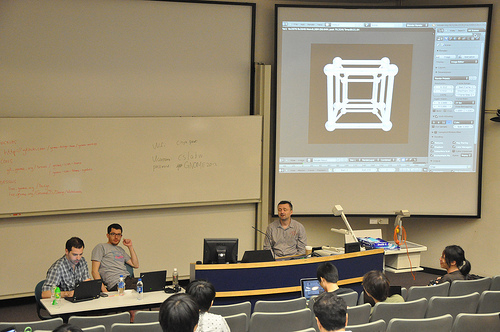 The conference started on Friday afternoon, with a design workshop managed by Allan Day, Jakub Steiner and William Jon McCann. It was pretty interesting, truth be told, and I particularly enjoyed how Jakub played with Inkscape to create the icon of “GNOME Ball” (now we just need a program for the icon). I truly want to spend more time with Inkscape now, and try to draw something better than my previous attempts to draw an icon/logo. 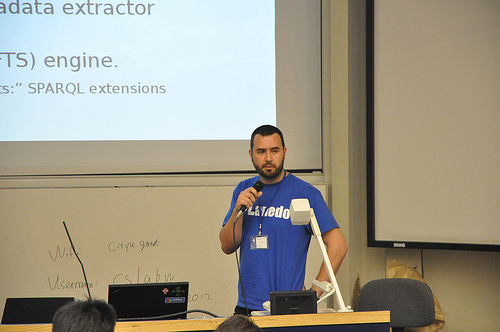 I gave two talks during the first day of the conference, one about Tracker (slides here) and another one about ModemManager (slides here). The talks were recorded, but official videos of the talks are not yet available on the Internet. Thanks to the usual jet lag, I also found time to develop the application-menu support for Devhelp during my stay in Hong Kong. 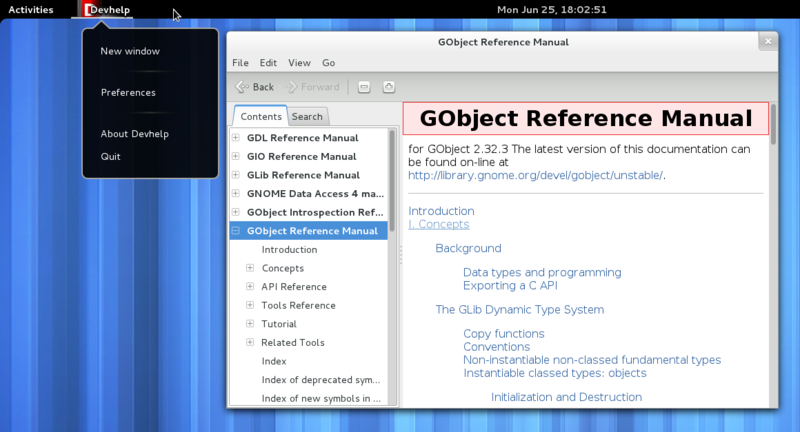 The code is currently available in the ‘application-menu’ branch in the gnome git repo, and tracked at GB#677927. Finally, thanks to my employer, Lanedo GmbH, for sponsoring my attendance to this great conference! Only 3 weeks left for GNOME.Asia, this year in the beautiful city of Hong Kong. Tracker is not (only) a search engine: it is a semantic data storage, powered by RDF ontologies, Nepomuk, and the SPARQL protocol. Tracker is one of the core building blocks of the MeeGo Harmattan operating system; and since release 2.30, it is also a blessed external dependency in GNOME. But it wasn’t until GNOME 3 and the first release of GNOME Documents that it started to get some really good attention… and there is more to come! ModemManager, along with NetworkManager, provides easy-to-use broadband modem connections in the GNOME desktop. With new requirements coming along with the new LTE (4G) communication standards, ModemManager got not only a face-lift, but also a deep surgery to improve its codebase and the way it supports vendor-specific plugins. The new ModemManager comes with a new GDBus-powered interface; built-in support for LTE and mixed CDMA+LTE devices; dynamic interfaces and per-interface state machines; helper libmm-common and libmm-glib libraries; a handy “mmcli” command line interface utility; and a new plugin development strategy which is port-type agnostic and based on GIO async calls. This talk is an introduction to ModemManager, with special focus on LTE and all the new details and features coming with the new codebase. Thanks to my employer, Lanedo GmbH, for sponsoring my attendance!